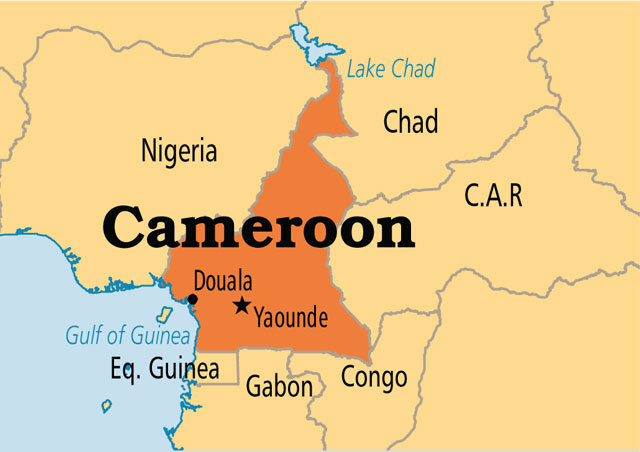 YAOUNDÉ – Seventy-nine school students were kidnapped on Monday in an English-speaking region of Cameroon where separatists are fighting an armed campaign for independence, a government source said. The students were abducted along with their principal, a teacher and a driver, the official said, as a source at the school confirmed the kidnapping of the pupils. They were enrolled at the Presbyterian Secondary School in Bamenda, capital of Cameroon's Northwest Region -- one of two regions hit by attacks by anglophone militants that have met with a brutal crackdown by the authorities. "The search for the hostages has been launched -- every man has been called in," the government source said, speaking after a crisis meeting. The kidnapping -- the gravest incident so far in 13 months of unrest -- coincides with an upsurge of political tensions in the majority French-speaking country. It comes after elections on October 7 that saw President Paul Biya, 85, who has ruled the country with an iron fist for 35 years, secure a seventh term in office. Around a fifth of Cameroon's 22 million people are English-speaking -- a minority whose presence dates back to the colonial period. As radicals took ascendancy, the anglophone movement declared the creation of the "Republic of Ambazonia" in the Northwest and neighbouring Southwest Region on October 1, 2017. Estimates of displaced people in the Northwest Region are not available.